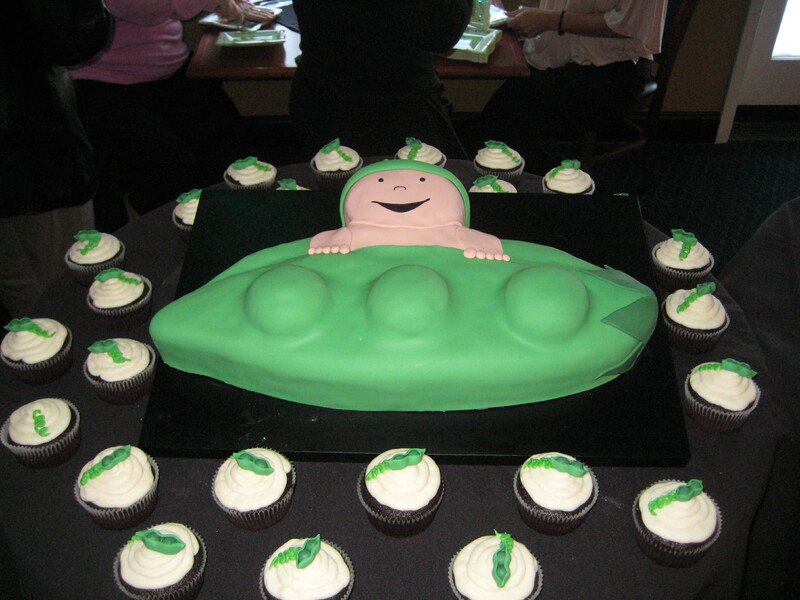 Beka’s Sweet Pea Cake with cupcakes! 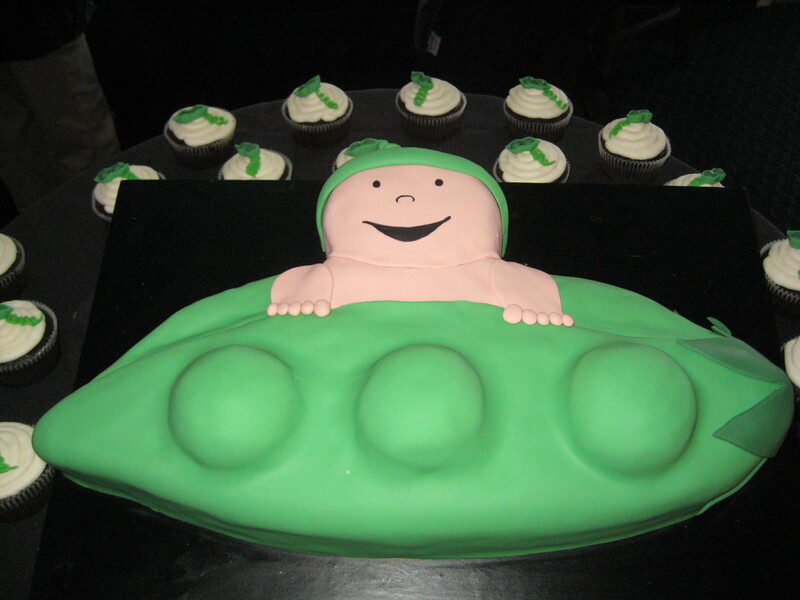 These were made for a Pea in the Pod theme baby shower. 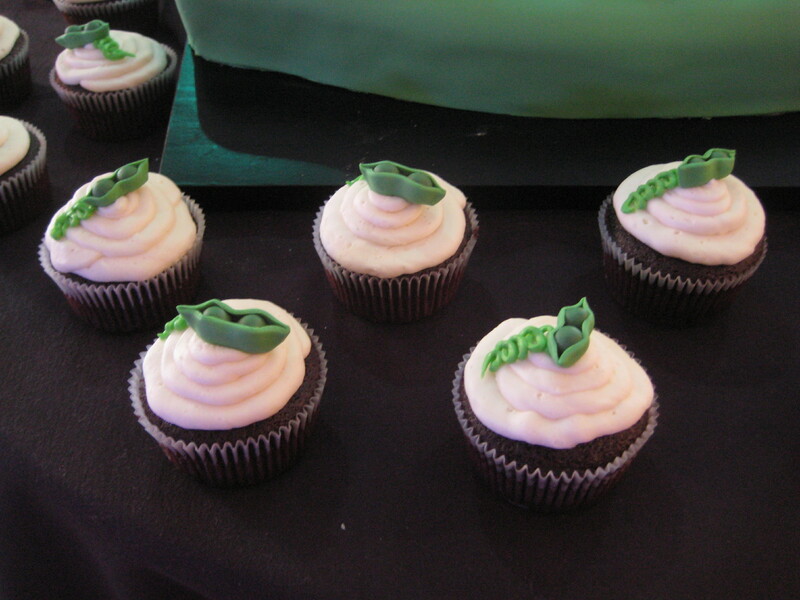 I found the idea for the cupcakes somewhere online and had to make them, they were so cute!